Kim Knott lives in Manitoba, Canada and grew up with a mother who owns a cake decorating supply company and a grandmother who was a gifted cake decorator and gum paste artist. Kim has a foods and nutrition degree from the University of Alberta and loves to cook, garden and sew. 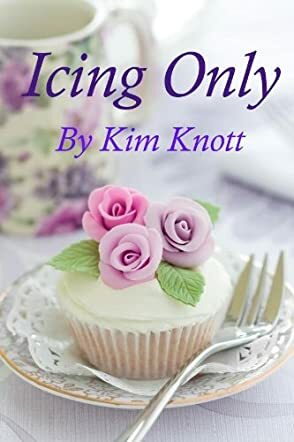 Icing Only by Kim Knott is a cookbook that focuses on icing for cupcakes and cakes. The book contains over sixty well-illustrated, easy to make, mouth-watering icing recipes and ideas. The book presents a variety of icing recipes and ideas, from basic icing and specialized icing to reduced carbohydrate icing and high fibre icing. Kim Knott also included notes to show what sets each recipe apart from the rest and makes it special, point out any particular care that should be given to each individual recipe, and the alternative uses for each type of icing. From the very first recipe, Icing Only contains unique, and yet easy to master icing recipes and this continues through the book. Icing Only takes the statement 'icing on the cake' and gives it a whole new meaning. The marvelous icing recipes/ideas and photos will take your baked goods from ordinary to super extraordinary. The book is very well illustrated, with pictures of mouth-watering cupcakes that will put your taste buds on high alert and inspire you to go beyond your normal limits and create delicious and beautiful icing. This book will be a great addition to your recipe library, or an awesome way to start one, whether you are a professional, an amateur looking to master the art of decorating cupcakes, a mum baking for a kid's birthday or a tea party, or just an occasional casual baker. This is definitely the best icing book by far.